Police investigate the location where a man's body was discovered Wednesday morning near Fetcher Park. 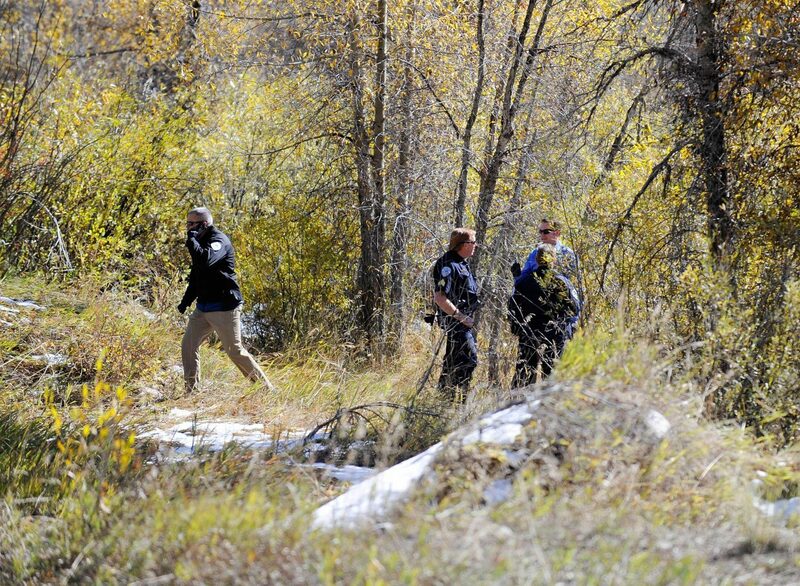 STEAMBOAT SPRINGS — The Steamboat Springs Police Department is investigating what led to the death of a man who was discovered Wednesday morning near Fetcher Park. The body of the 49-year-old Steamboat man was found in a field east of the park about 50 yards from the railroad tracks. Commander Jerry Stabile said the man was reported missing Sunday night. “We had actively been searching for this person for two days,” Stabile said. Stabile said the man was reported missing after he did not show up to a couple shifts at work. He also was not seen at some of the places he regularly frequented, which was out of character. Police were told the man was likely camping in a tent somewhere in Steamboat. Stabile said a friend of the family was searching for him Wednesday and discovered him. There were no obvious signs of foul play. An autopsy will be performed to help determine a cause of death. Toxicology tests will also be performed to determine if he had any substances in his system. Toxicology tests can take weeks for results.